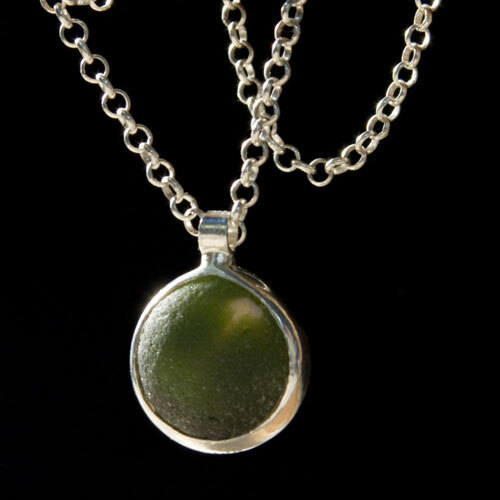 This pendant has a piece of sea glass glass was found in the shoal of Santa Cruz. Sea glass is likely from the Lundberg glass factory found at near Davenport landing. I banded this in a backless sterling silver bezel so you can see both sides.